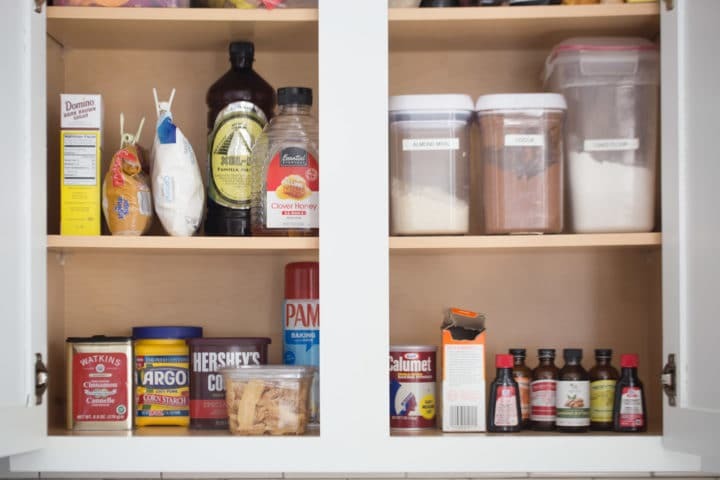 A short, comprehensive list of everything you’ll need to stock your baking pantry. Start with these ingredients and you’ll be amazed at all you can make! Hello my friend! Welcome to another installment of my “Bake Like a Boss” series! So far we have discussed some really great topics, like how to measure ingredients properly, how to line your baking pans so that nothing sticks ever, and why to use cake flour. This kind of insider info really helps you to be a superstar baker. You’ll be amazed at the results you get when you really understand these baking basics. And today I’m going to talk about what kinds of staple ingredients you should keep on hand, and how to store them. On the surface, it may seem a little dull, but I have to tell you: this is the kind of thing that I absolutely LOVE about baking. To me, the idea that you can take just a handful of basic ingredients, and create SO many different treats from them, is just pure magic. I’m so passionate about this, and I seriously geek out about it on a regular basis. So let’s dive in! I’ve organized this checklist into 6 categories. Five of them are must-haves (things I try to keep in my cupboards and fridge at all times), and the last category is for add-ins. You’ll be able to make a ton of different things with the must-haves alone, but in combination with the add-ins, you can make just about anything imaginable! Click here to learn more about cake flour: Why Use Cake Flour?. Cornstarch is a fine white powder. I use it in a lot of my cookie recipes; it provides structure and a tender, melt-in-your-mouth quality. If you’re outside the US, it may be called “Cornflour.” It is not the same thing as cornmeal. I’d recommend storing these extra credit flours in the freezer, since they aren’t used all that often. The whole wheat and nut flours especially tend to go rancid and give a funky flavor if they get too old. Just buy smaller bags and slip them into zip-top bags for storage in the freezer. 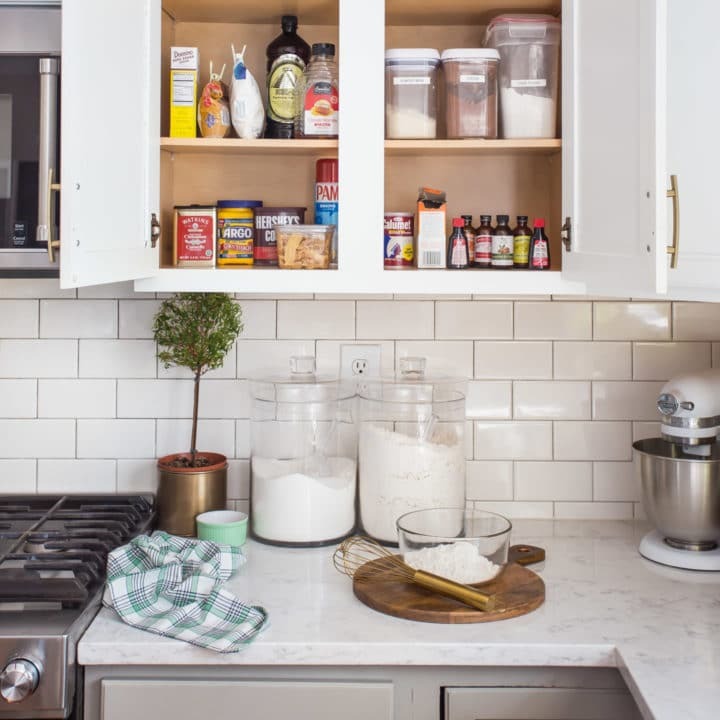 All-purpose flour, cake flour, and cornstarch can be stored in canisters on your kitchen counter or in a cupboard. All of the above can be kept at room temperature. As for corn syrup, I know it’s a controversial ingredient, but know that it is not the same thing as “high-fructose corn syrup.” I use it to keep chocolate glaze shiny, and to prevent caramel from crystallizing. Check the expiration dates on your leaveners! It seems crazy, I know, but these things do expire, and when they do, they lose their lifting power. 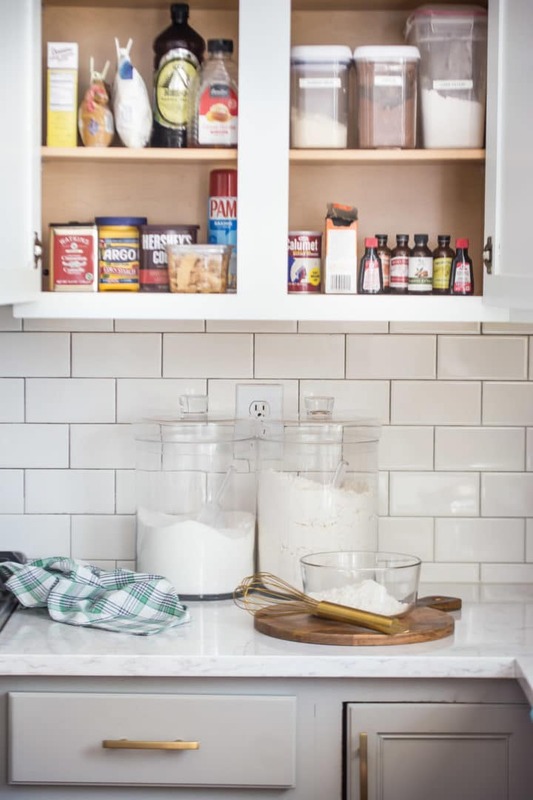 There are a number of different kinds of yeast, but here in the US, we mostly use dry active yeast (at least that’s the case in home kitchens). It comes in little 1/4-ounce envelopes and it looks like a coarse powder. All of these leaveners can be kept at room temp in your kitchen cupboard. “Large” eggs are the standard for baking. If you use “Extra Large” or “Jumbo” eggs you will not get the proper result. You can buy brown eggs or white eggs, organic, cage-free, whatever! That doesn’t make any difference at all, but in this case, size does matter. I have found that for the most part, Greek yogurt, sour cream, and buttermilk work interchangeably. There are some differences, but to me they are minor and the recipes still bake up very nicely regardless of which you use. If you don’t have any of them, and you don’t want to make a grocery store run, you can make a buttermilk substitute by stirring one tablespoon of white vinegar or lemon juice into one cup of milk. Let the mixture stand for about 5 minutes, until it becomes thickened and looks almost curdled. If you prefer to eat dairy-free, you can use your favorite plant-based milk, butter, cream cheese, and yogurt products. They should all sub for dairy products in equal measure. For a vegan egg substitute, mix 1 tablespoon of ground flax seeds with about 2 tablespoons of water. Allow the mixture to stand for about 5 minutes, until jelled. For citrus, I mostly just keep fresh lemons in the fruit drawer of my fridge, but every now and then it’s nice to mix things up with some lime, orange or grapefruit. The zest AND the juice of citrus can add so much incredible flavor to your baked goods! Everything else can be kept in a cabinet, at room temperature. These are the flavorings I reach for most, but there are definitely others too. Nutmeg, ginger, and ground clove are great to have around, especially in the wintertime. And I love lemon extract, peppermint extract, and coconut extract too. Instant espresso powder is great for adding a big punch of coffee flavor without watering things down too much. Orange blossom water and rosewater are fun for when you want to really get fancy. And I always try to keep a little bottle of red food coloring around for making red velvet. You’ll get by no problem with just the 6 bulleted items above, but once you’re really a pro you’ll probably add a few more favorites. And it’s all good because these kinds of spices and extracts usually don’t take up much space at all! That’s it for the must-haves! Not too bad, right? I bet you probably keep most of them around already. If you have these basics in your kitchen, you can make SO MANY THINGS. I’m talking brownies and blondies, cinnamon bread, chocolate cake OR vanilla cake, granola, sugar cookies, scones, cheesecake, cream puffs/eclairs, coffee cake, and tons more. It’s all about the ratios and how you put them together. Magical, right? But these last few items are what will take your basics to the next level. 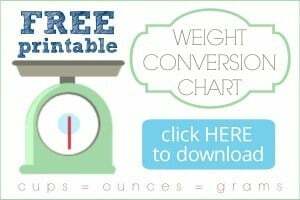 With these add-ins you can expand your repertoire to include chocolate chip cookies, pecan tassies, peanut butter tandy cake, oatmeal raisin cookies, pumpkin cheesecake bars, carrot cake, snowball cupcakes, banana bread, and blueberry pie. Just about anything, really! Once you have these basics down, you can really bake like a boss. Most of the time, you can whip something delicious up from just what you already have in your cupboards and fridge. And with a little extra planning (and an add-in or two), the possibilities are totally limitless! I really enjoy this series, but this is my favorite one so far. You provide so much useful information and I love how organized you are because I am the exact same way. My baking “pantry” has most of the items you listed and I organize them by item and then by expiration date. My (grown) kids and their spouses love checking it out and then make their requests. Hmmmmm…..maybe giving them access isn’t the smartest idea! Come to think of it, the requests seem nonstop! I really appreciate your knowledge and experience and learning from it. Thanks for sharing. I’m so happy you enjoyed the post! I was worried it would be too boring, so thank you so much for the encouragement. It sounds like you are doing an amazing job if your kids are begging for more! Keep up the great work Vicki and thanks so much for reading! So if I get all those ingredients will you come and organize my baking supplies? LOL!!! You’d die if you saw mine. And will you make something yummy?! Loving your recent posts!! Lol thanks Becky! Honestly mine doesn’t usually look this organized either!! Hey Lindi! Thanks so much for reading. You should probably click through on the link given under the “Flours” heading- Why Use Cake Flour. There is lots of info there as to what exactly cake flour is and what can be substituted. Also, cinnamon is listed under the “Flavorings” heading. Hopefully that clears things up! One item I did not see on the list was cocoa powder. I use it regularly in my baking. Hey Lynn! Cocoa powder is listed under “Flavorings.” I use it a ton too! So I was cruising the internet looking for an easy chocolate frosting and I came across your website. So happy you’ve enjoyed what you’ve seen so far Karen! Thank you for all the sweet compliments. As for your questions, I do think a hand mixer will work just as well for almost any recipe. 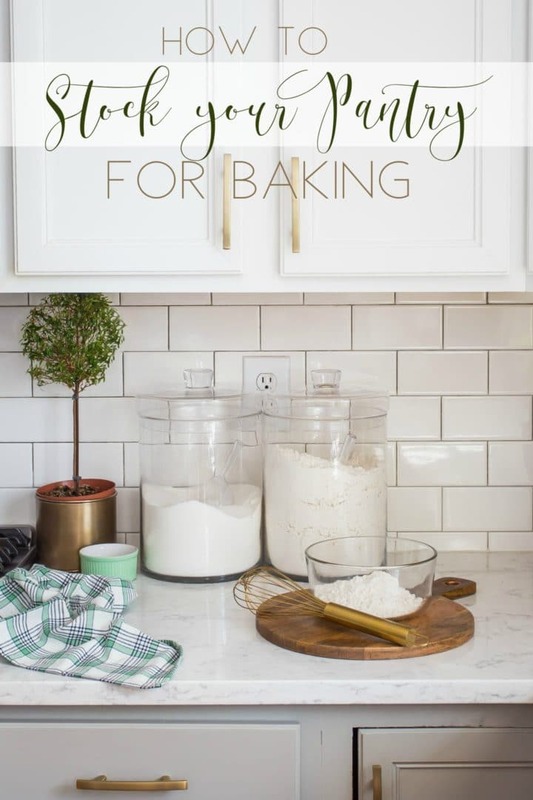 The only thing to be aware of is that it will not be quite as powerful as a stand mixer, so for stiffer doughs your hand mixer might have a little trouble and you might have to just get in there with your hands and knead in the last bit of dry ingredients. And to be honest, I rarely bake with margarine so I’m probably not the best one to answer that question. But I will say that whatever product you use, if they advertise that it can sub 1:1 for butter, then it should work. I hope that’s helpful! Welcome to the world of baking! I hope you have so much fun getting started!